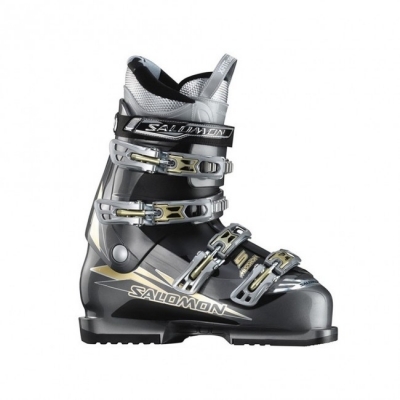 The Standard series are tailored for beginners and intermediate skiers. The standard all-round carving skis are ideal for the first skiing experiences as they are designed to accelerate learning and encourage confidence on the mountain. The intermediate skiers shall find here remarkable on-piste, all mountain and freestyle ski options that will help them build their confidence before moving to the next level. The Advanced ski equipment is suitable for the more confident and demanding intermediates and the advanced skiers. 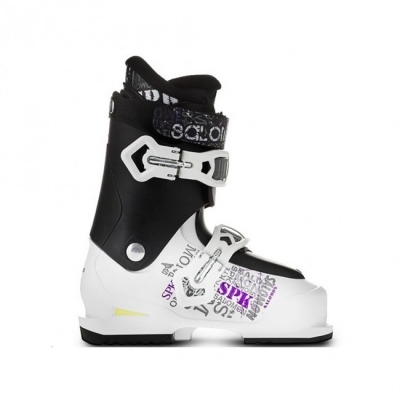 On / off-piste skiers, freestylers and all mountain skiers; we’ve got you covered. 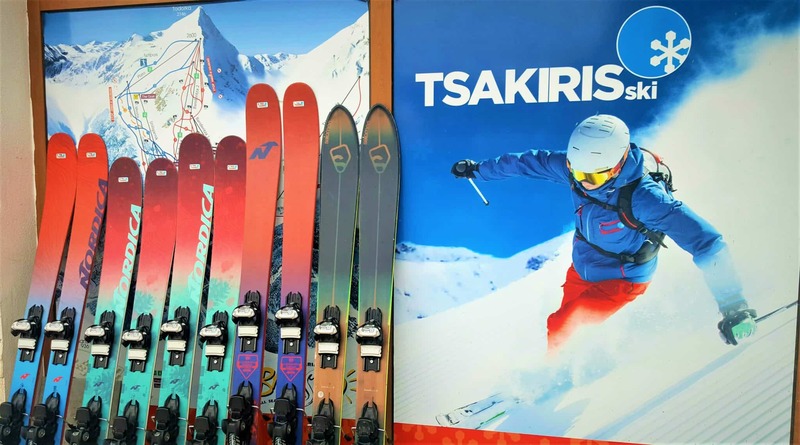 Choose among a great selection with all types of skis for all kinds of terrains the skis that suit best your riding style and mood and you’re ready to enjoy another perfect day on the mountain. 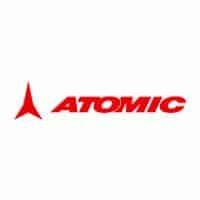 Our absolute top models recommended to advanced skiers and experts that are seeking the premium models of the market’s advanced equipment. 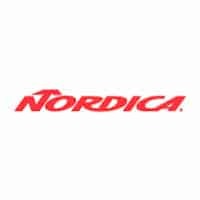 Race breed carving skis for speed lovers, fat skis for those who are looking forward to riding backcountry on pow-days, playful toys for park and pipe and awarded all-mountain skis for the skiers that know no boarders await to become the Premium pick of your day. Upgrade your equipment any time during your holiday or even within a day, according to your evolution and your mood. Everyone’s foot is unique. 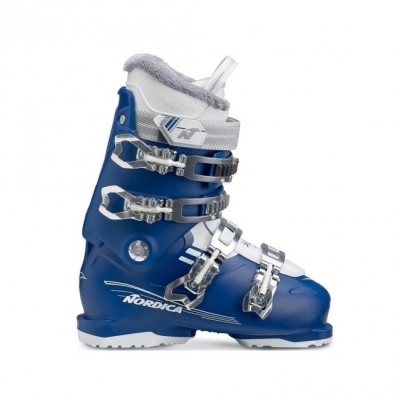 Therefore, we have created a large variety of many different ski boots of 40 up to 130 flex in order to have everyone covered up to 15 ½ UK size (51 ½ European size). 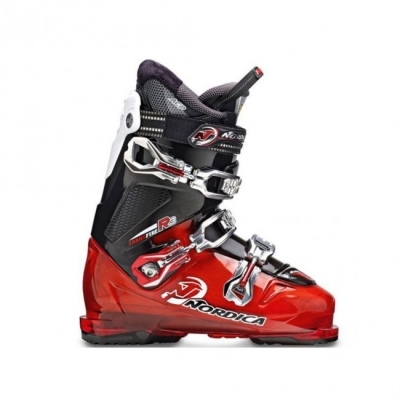 We have seek and added ski boots with adjustable cuff length ratchet. 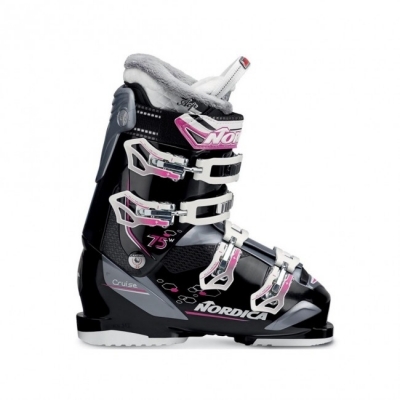 This boot line is designed for the men or women skiers who have larger or “sporty” calves and struggle to tighten the ski boot around the lower leg. 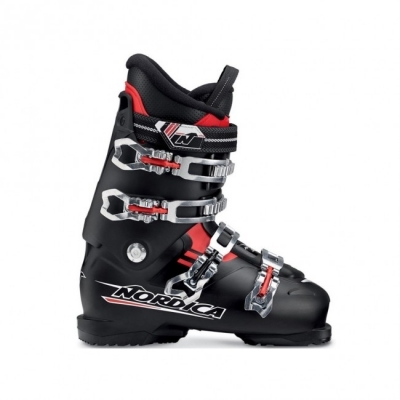 The system improves the easy catch of the buckle and closure of ski boot. 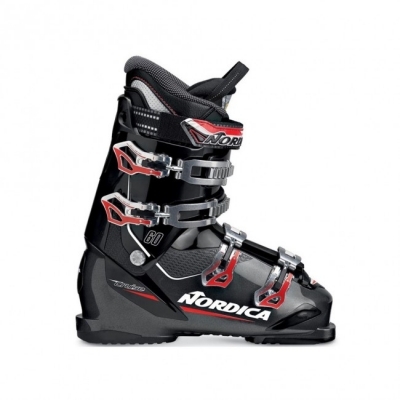 Ιn the comfort line have been also added wider boots that may relieve skiers with feet deformities or injuries (flatfeet etc.). Our boots are dried in our boot dryers daily after sprayed with antibacterial liquid. This protects them from fungal infestation while keeps them fresh and free from unwanted odors. 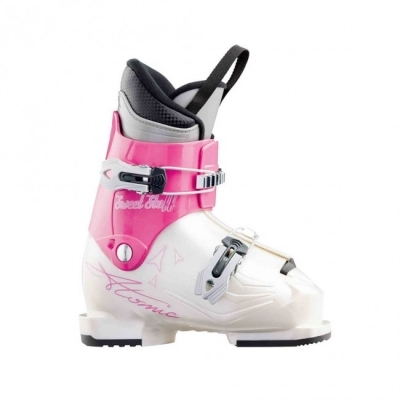 Here in TSAKIRIS Ski & Snowboard we know that women, no matter their skiing level, love to ski in style. 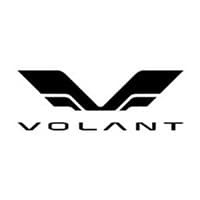 That is why we have taken care of offering, except our unisex ski equipment, skis and boots designed for the different anatomical shape, weight, and stance that women have but also with colors, patterns and feminine details that our female skiers like to see on their equipment. We love to make you smile and your smile is essential for a beautiful ski holiday! 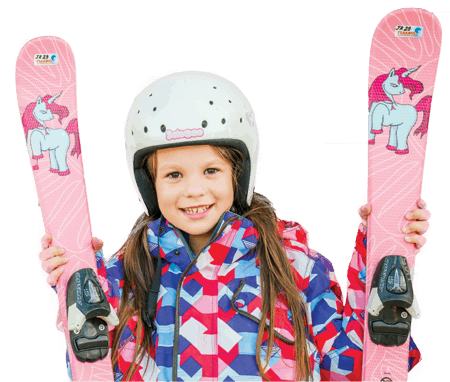 Kids’ equipment refers to children ≤ 12 years old and includes ski boots from European size 24 (6 UK youth size) and skis from 70 cm! 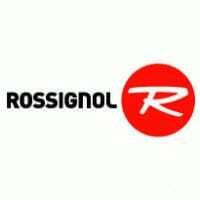 Our kids’ safety comes always first and that is why our staff pays extra attention when choosing and tuning the appropriate equipment for them. Skis and boots full of colors and cartoon characters and our little supermen and princesses are ready to rock the slopes! and save up to -15% on the above prices! Use our contact form to let us know what you need! Passport, ID or driving license is required for the hiring procedure. For Premium equipment rentals, you should carry your passport with you. Fittings for the next day are held between 19:00 – 21:00. 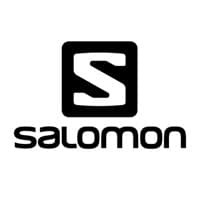 Visit us the afternoon before your first day on the mountain to get fitted and save precious time for the next morning. ATTENTION: Do not leave your equipment unattended, especially when visiting cafes and restaurants. Do you have questions about your rentals? See answers and more useful information to our FAQ.